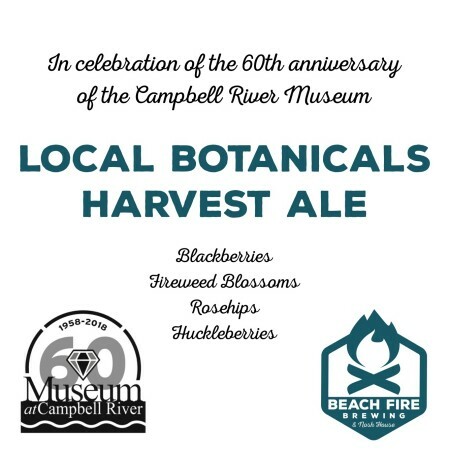 CAMPBELL RIVER, BC – Beach Fire Brewing & Nosh House has announced the release of a new limited edition beer to mark the 60th anniversary of the Campbell River Museum. Local Botanicals Harvest Ale is a blonde ale that has been infused by locally harvested blackberries, fireweed blossoms, rosehips and huckleberries. The new beer is available now on tap at Beach Fire, and will also be pouring at the Haig-Brown House Fall Festival on Sunday September 23rd.